It’s a lesson in just how influential and important a song, and one album can be. 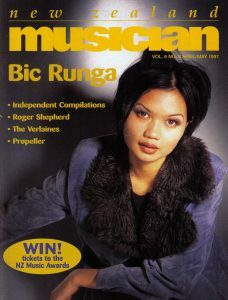 Bic Runga‘s Sway featured on her debut album ‘Drive’ which was released back in August 1997. When she performed it at the 2016 NZ Music Awards she had the Vector Arena crowd in her hands and TV viewers of all ages would no doubt have been singing along. Almost 20 years ago, NZM’s April/May 1997 issue featured Bic on the cover a few months ahead of the release of ‘Drive’ with the following article by Andrew Polson. It’s a great read, thanks Andrew. NZM congratulates Bic on her induction into the NZ Music Hall of Fame. Bic Runga is hunched over the mixing console in Studio A of Auckland’s Revolver Studios, gazing intently at a spot just above the VU meters. She’s completely focused on the sound coming through the studio monitors as engineer Simon Sheridan plays back a freshly recorded take of guitar feedback for her song Swim, the track they are working on tod ay. Despite a generally warm and open studio manner, Runga’s concentration during these playbacks is palpable, with everyone keeping movement and noise down to zero. 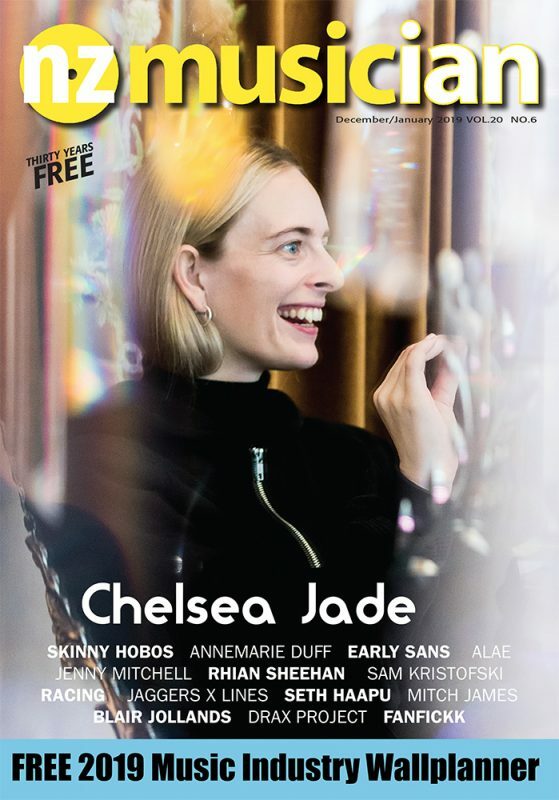 And rightly so, for in this studio the 21 year-old artist is not only responsible for singing and guitar playing duties (not to mention the occasional drum track) but also for the overall production of her album-in-progress. After a couple of generally unsatisfying attempts to record her songs with other producers Runga has persuaded her label (Sony) to let her take the reins. So while the album will be mixed overseas – possibly America – right now Runga herself is calling all the production shots on this project. She knows it will probably be seen as a risk, but the next day as she munches into some breakfast, she says that rather than feeling the weight of her responsibility, the new role is more relief than a burden. As she begins describing her approach to the recording process she exudes the enthusiasm and the certainty of someone who has been thinking about this for quite some time. She says she put the band through their paces for three weeks before going near the studio. Bic’s current band line-up is Andrew Thorne on guitar, Aaron McDonald on bass and Bic shares the drumming duties with Wayne Bell. As with anyone who writes their own material Runga says that the song is the thing – production is important but must always follow from that core. Having said that though, the album will have a lot more on it than just her voice and a guitar. The version of Swim that was playing back through the monitors the day before was quite a departure from the version on her ‘Drive’ Ep, featuring backwards guitar feedback and heavily gated drums. I ask if she’s worried about alienating her audience – after all everyone knows her from Drive as ‘the girl with the guitar’- but she says it comes down to who you are trying to please. Runga says it has taken till now for her to get up the courage to speak up and say what she wants. Previous attempts to record her songs were unsatisfying. The recordings that would eventually become part of the ‘Drive’ EP were done in Wellington on the back of a QEll Arts Council grant through Pagan Records and even though she was pleased at the time to be recording her songs, she was having doubts even then. She later recorded a demo of Drive herself “… which I took up to Sony, who I’d always wanted to be on” and secured herself a four album exclusive deal with the label. Sony then bought the Wellington recordings off Pagan and sent Runga back into the studio to try re-recording that song with more instruments. But in the end they ended up putting out Runga’s original demo as the single. Later when Sony sent Runga into a studio in Ireland with Irish producer Nial Maccan and (ex-Crowded House member) Nick Seymour. As she said in an ‘un-chart-ed’ interview, they went in “… with the hope of getting an album done but it just didn’t really work out.” The sessions produced one really good recording, her next single Sway, but overall Runga was still not happy with how things were going. She came back to New Zealand and was due to have Dave Dobbyn produce in December last year (“He would have just been totally cool”), but then she broke her collar bone which put back the whole recording and meant Dobbyn couldn’t do it. With a vacuum in the producer’s chair, Runga decided to seize the opportunity and sent a written proposal to Sony to produce herself. She says she doesn’t just want to stop at her own music either. I ask her if she has any production heroes. A our interview comes to a close, Runga says that even though it has been a struggle to get to this point she is still grateful for all those previous experiences.